So on a non rain day, I did a grid search around my office by foot looking for new close-by eateries (within a 5 minute walk). I was very interested in finding anything Asian. What did a come up with? A place that sells $5 chicken biryani, Cinara now offers lunch, there’s a new White Spot at Dunsmuir & Homer, and Ha Long Bay. I didn’t have high hopes for Ha Long Bay as in general decent Vietnamese usually can’t be found west of Main Street. My expectations rose a bit when I saw the place was very busy for lunch. The eatery’s menu was short, simple and pretty standard. They did have some hand printed specials on the wall and I saw they were offering real crab spring roll for $5.50 per roll. I see Mr. Red Cafe’s influence is starting spread. Well I had to get that for comparison sake and added a small Special Pho, aka the Pho with all the toppings (raw beef, cooked flank, beef balls & tripe). 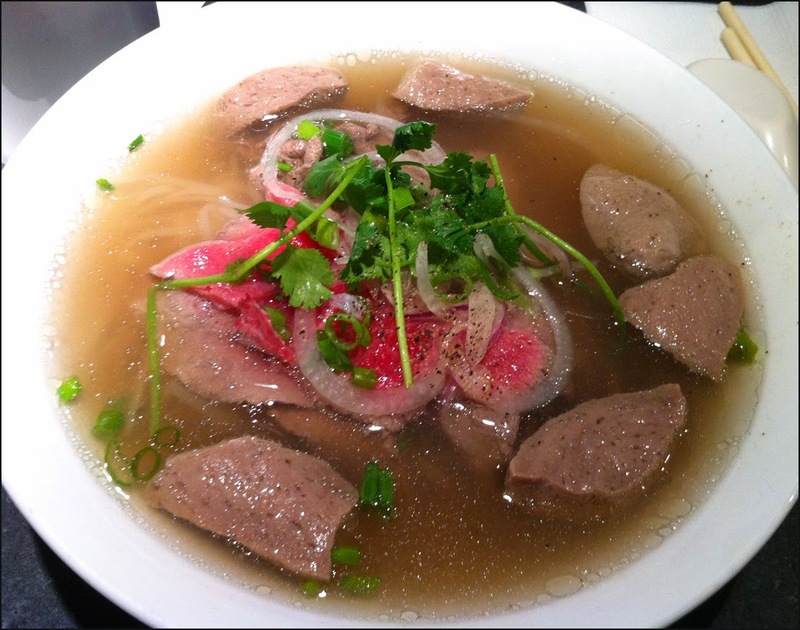 Everything about the pho I ordered was fresh, from the raw bean sprouts to the tender ruby red beef slices. The all important beef broth was solid and tasty. It was subtle with a slightly sweet aftertaste and with a touch tanginess from the lime I squeezed in. Enjoyable but not mind blowing. The crab spring roll looked like a regular spring roll. From what I could see and taste, the filling had carrots, cloud ear fungus, celery, and glass noodles. There was also a mystery veggie ingredient in the filling that I’m going to tentatively ID as jicama but I’m not 100% sure. 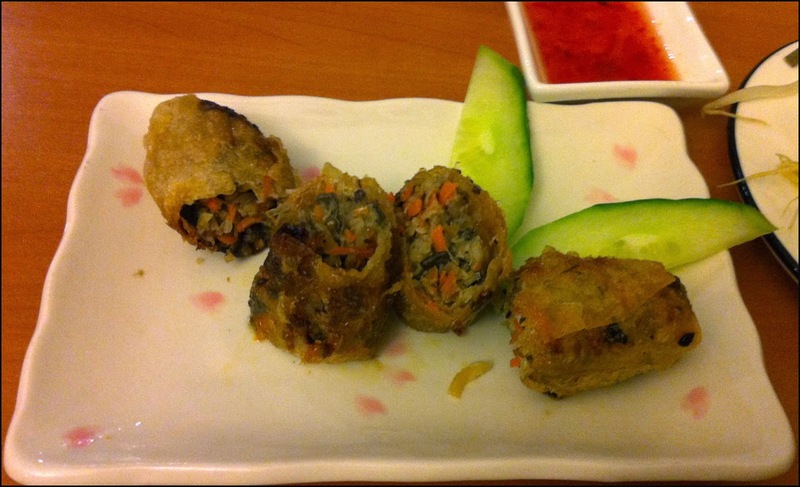 In comparison the regular Vietnamese spring roll, the filling was definitely softer, moister and sweeter. However, I couldn’t really spot any crab meat. I thought it was O.K. but I much prefer Mr. Red’s more bountiful and better crafted version. On another visit I spotted something that peaked my interested. 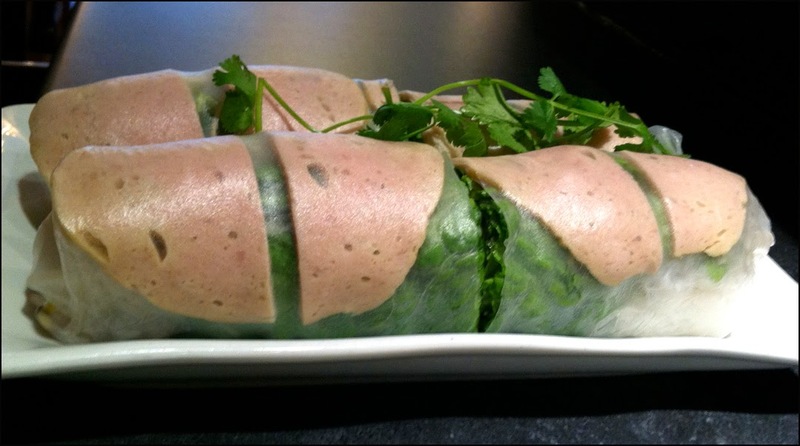 Salad rolls made with homemade Vietnamese ham. Homemade? Yes please! I was very impressed the portion and freshness of the salad roll. No iceberg lettuce filler here. 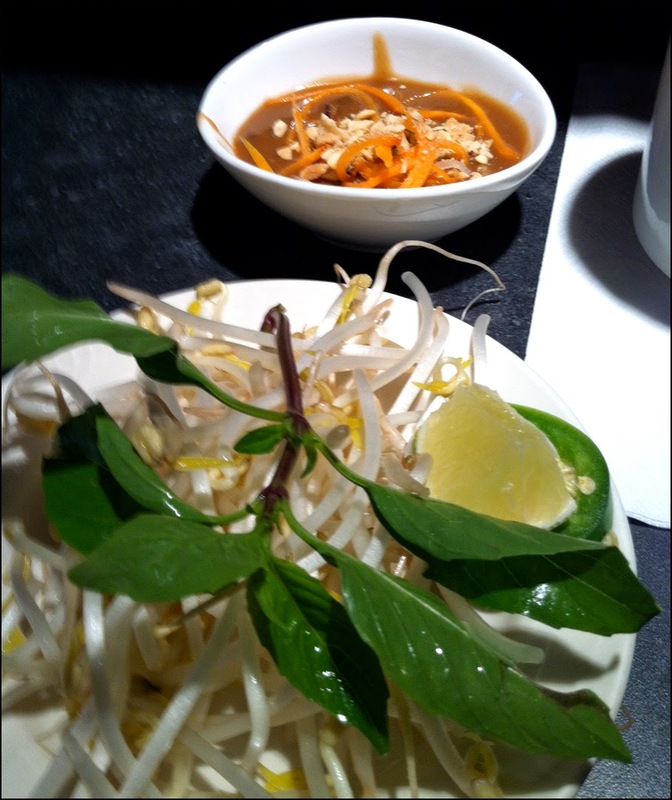 In addition to the vibrant leafy green leaf lettuce, there were bean sprouts, carrots and cucumber to add extra crunch to the roll. As for the cha lua, I’m inclined to think that no deceptive advertising practices are being used. The ham was roundish but not perfectly circular which for me points to it being made onsite rather than purchased at a wholesaler. In terms of flavour, it was more subtly sweet, peppery and porky; not the overwhelming MSG enhanced sweetness typifying commercially prepared products. 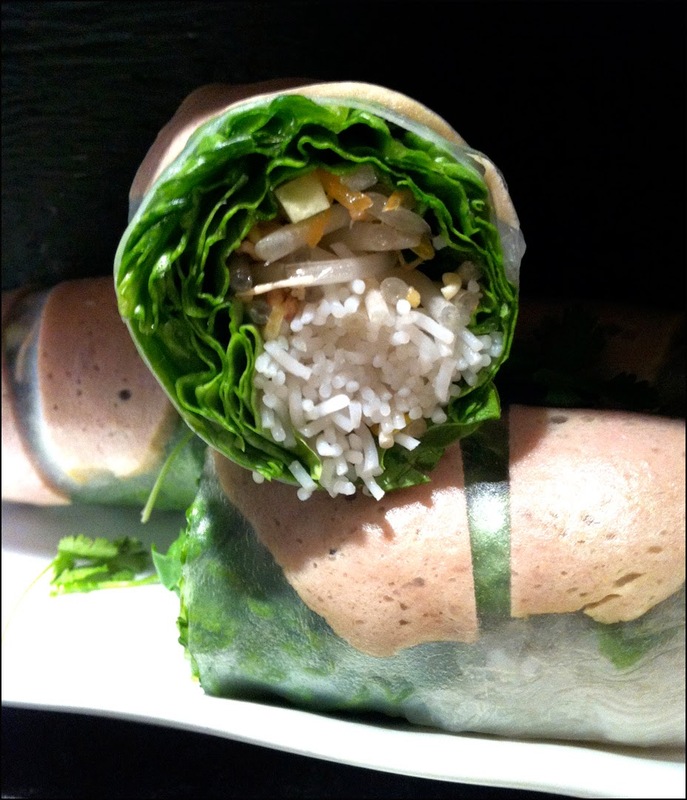 The homemade Vietnamese ham salad rolls are impressive and something to try. In addition to the salad roll, I ordered a raw beef plus meatball pho to round out the meal. Once again all the ingredients were very fresh. 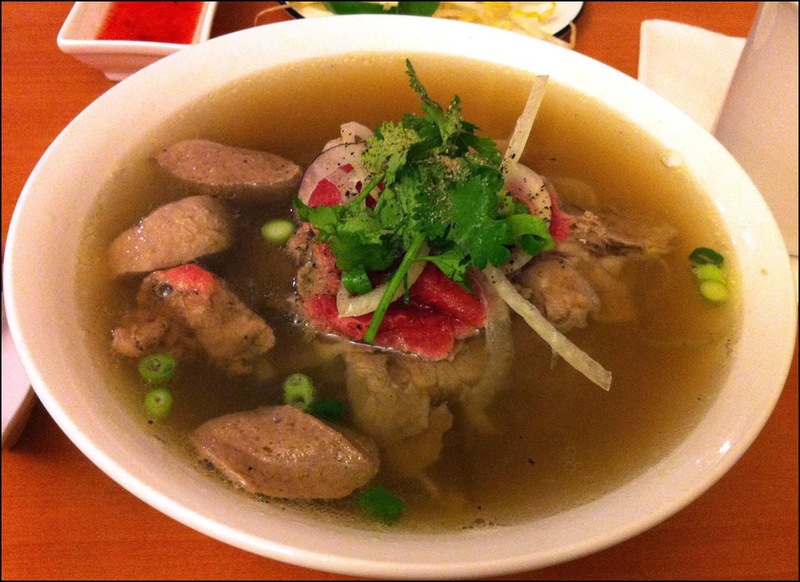 The pho had a solid soup based that either doesn’t use MSG or does so aptly. Ha Long Bay serves food more in line with Vietnamese restaurants found east of Main street. It is definitely solid and much better than that food court stalls found in food courts scattered around the downtown core. My sanity has been rescued.